Fruit fruit to nuts, this custom designed gift basket is perfect for every occasion. Simply can’t decide? Let us do it for you! We’ll hand select the freshest fruit of the season, add an assortment of nuts, and yes, we can even add fresh flowers or a plant for that extra special touch! 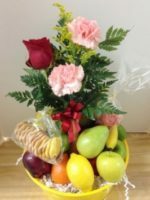 Tina love to select fresh seasonal fruit in the morning and design a beautiful gift basket filled with the fresh seasonal fruit plus nuts. Assorted nuts of all kinds add that little touch of salt to the healthy fresh fruit, which might include apples, oranges, pears, kiwi and other fresh seasonal fruit from the local farmer’s market. We add a small fresh plant to this gift basket for long-lasting memories. 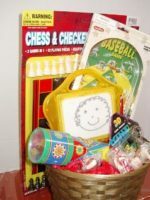 This gift basket is the perfect gift for a co-worker or employee, a thank you or graduation, a housewarming, congratulations or to convey condolences. 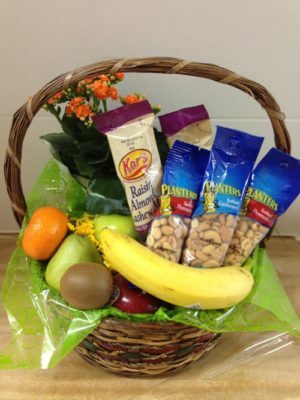 We are happy to design and deliver the fresh seasonal fruit plus nuts basket in greater Phoenix. Basket Express is located inside Roadrunner Florist. Each gift basket designed by Basket Express is a unique expression of you.